original, the remainder and the cross head being an early C20 restoration. 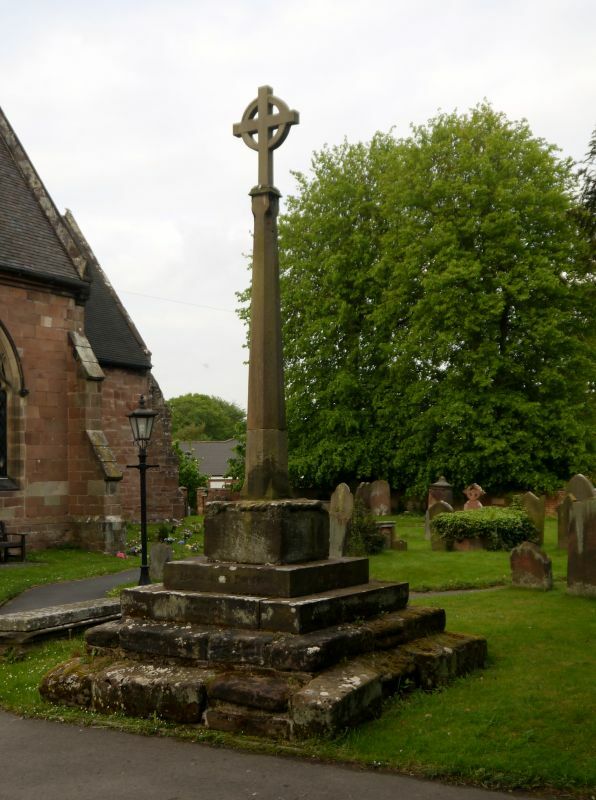 stone can be compared with that on the cross at the Church of St.
Cuthbert, Donington (q.v.) T.S.A.S. XI 2nd Series (1899) p.98.